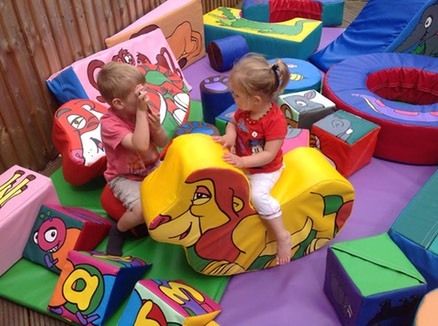 Brightly coloured and perfect for parties,�local company Asoft Play hires its own beautiful, uniquely-designed and handmade soft play hire. And it's all run by a lovely Local Mum! While on maternity leave, Local Mum Kelly Hawken helped a friend run a large bouncy castle buisness, booking castles and party entertainers. She enjoyed it so much she decided to look into supplying top-quaility, unique soft play as her own business. "I have been successfully supplying soft play for a few months now," explains Kelly, who lives in Sutton with her fianc� and two young boys. "After recently having my second baby I decided to concentrate on growing my own business." Kelly has lots of experience running events for large organisations like Vodafone, arranging their summer balls and Christmas parties. "My main background is corporate events but I really love the children's party side," explains Kelly, who now combines her love of organising events and children's parties with her unique soft play service�Asoft Play. 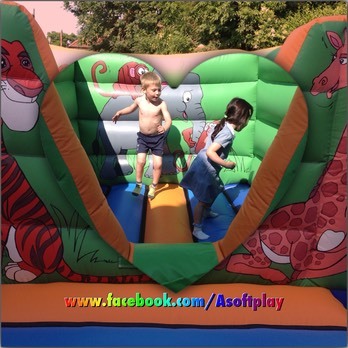 Asoft Play�provides packages for hire at all kinds of events like birthday parties, weddings, and christenings. "The packages are great for indoor and outdoor events and priced to suit your budget," says Kelly.